Asus was launching ZenFone 3 variants in the US as recently as a few months ago, but it also started pushing the first ZenFone 4 phones over the summer in select markets. Starting today, the ZenFone 4 series is rolling out in the US and Canada, but it's starting with the ZenFone 4 Max 5.5". This is hardly the most impressive device in the lineup, but it has a gigantic battery. You can order a ZenFone 4 Max this very day, and maybe that's something you'd want to do if battery life is your primary concern. This phone has a modest 5.5-inch 720p display and a Snapdragon 430 SoC, but the battery is 5,000mAh. It'll probably run for days without a charge. Asus pushes the idea that you should charge other devices with this phone, but it sounds like it has a microUSB port. So, a clunky OTG cable is needed. There is also a dual camera setup with a 13MP main camera and 5MP wide-angle camera. The ZenFone 4 Max costs $199.99 ($299.99 in Canada) and is on sale at various retailers like Amazon, Best Buy, B&H, Newegg, and on Asus' own store. Amazon has it in stock and offers Prime shipping, but most other retailers are still showing pre-order status. The other members of the ZenFone 4 family, including the ZenFone Max 5.2”, ZenFone 4, and ZenFone 4 Pro will show up closer to the end of the year. 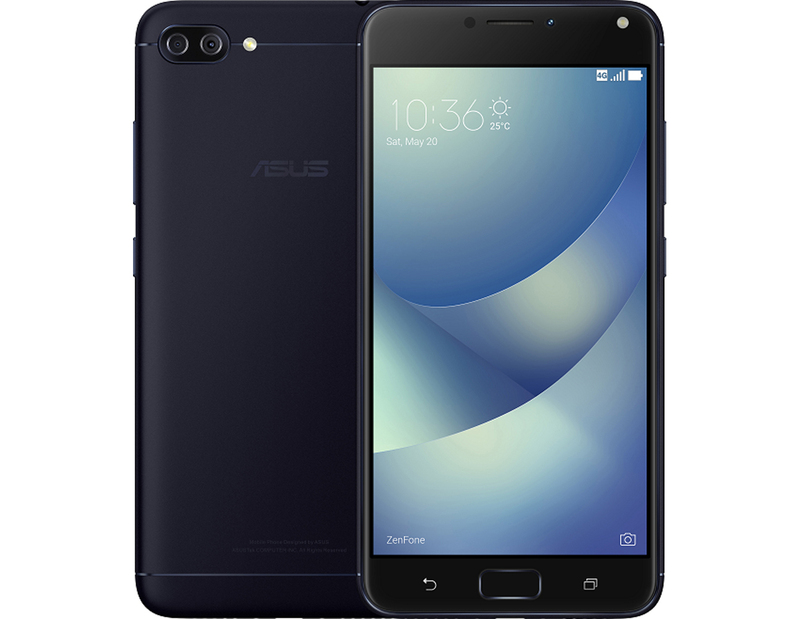 SAN FRANCISCO--(BUSINESS WIRE)--MOBILE WORLD CONGRESS — ASUS today announced the launch of ZenFone 4 Series phones in Canada and the United States, starting with the ZenFone 4 Max 5.5”, which is now available for purchase at select Canadian and U.S. retailers. The ZenFone 4 Max 5.5” is part of the ZenFone 4 Series of groundbreaking smartphones that are designed to provide the exceptional mobile photography experiences, and the first and only line of smartphones ever to feature dual rear cameras or dual selfie cameras on every model. ZenFone 4 series, including the ZenFone Max 5.2”, ZenFone 4, and ZenFone 4 Pro, will be available Q4 2017. The ZenFone 4 Max 5.5” has a brilliant 5.5-inch IPS display, an aluminum-alloy body, diamond-cut edges and 2.5D-contoured display glass. The ZenFone 4 Max 5.5” is designed to be the perfect all-day photography companion, featuring a dual rear-camera system with a 13MP main camera and a 120° wide-view camera, plus a high-capacity 5000mAh battery for an incredible 46 days of 4G standby time. The ZenFone 4 Max 5.5” runs on the powerful, yet energy-efficient Qualcomm® Snapdragon™ 430 mobile processor, that works in concert with the ASUS PowerMaster technology and high-capacity battery to give users ample power for a full working day and beyond, freeing them from battery-life worries. A Qualcomm Adreno™ 505 graphics processor further enhances performance and responsiveness, and enables the ZenFone 4 Max 5.5” to run the latest games. The ASUS ZenFone 4 Max carries a dual rear-camera system, featuring a 13MP PixelMaster main camera and a second wide-view camera that has a 120° field of view. The camera system captures crisp and clear photos, and lets users instantly switch to a wider view to fit more friends and scenery in the frame. Phase-detection autofocus acquires focus on both stationary and moving subjects in just 0.03 seconds, even in poor lighting conditions. The PixelMaster camera on the ZenFone 4 Max 5.5” comes with a variety of camera modes — Auto, Pro, Beauty, Super Resolution, Panorama, GIF Animation, and Time Lapse — that make it easy to capture every moment with beautiful results. The Auto mode features low-light and HDR Pro technology, which enables users to clearly bring out subjects in backlit scenes that are typically challenging to photograph. The Super Resolution mode captures multiple shots simultaneously and combines them into a single 52MP image with a stunning level of detail. The ZenFone 4 Max also features ASUS PowerMaster, a suite of intelligent power-management technologies that optimize battery life, ensure battery safety and performance, provide 2X-faster reverse-charging capability, and more. It has 12 safety checkpoints with automatic maintenance settings to keep the battery running optimally and provide a 2X-longer average battery lifespan than other smartphones. 1 Standby time measured by current meter with typical battery capacity. Results may vary depending on different test conditions. With its massive battery power, the ASUS ZenFone 4 Max 5.5” can double as a power bank for charging other devices. The phone is capable of supplying 5V at 1.1A for charging attached devices. In this mode, the ZenFone 4 Max 5.5” can still monitor charge levels and will not allow its own battery to drain below 30 percent capacity. The ASUS ZenFone 4 Max 5.5” embodies the core values of industrial design, pairing beautiful aesthetics with uncompromising build quality to create an exceptional user experience. The finely sandblasted all-aluminum-alloy body with its comfortable rounded sides is enhanced with brilliant diamond-cut chamfered edges, and the contoured 2.5D glass touchscreen is matched around the back by a gently curving rear cover that feels natural to hold. Every aspect of the design has been thoughtfully considered, from the balanced positioning of the display to the precise alignment of the retaining screws at the bottom. The ZenFone 4 Max 5.5” comes with two SIM slots supporting 4G LTE speeds up to 150Mbps and an additional microSD slot to expand storage by up to 256GB. Its convenient triple-slot tray lets users install two SIMs and a microSD card in one easy step. For added security and convenience, the ZenFone 4 Max 5.5” has a fingerprint sensor that is conveniently positioned at the bottom of the front panel, allowing the user to unlock the phone even when placed on a table. Its ultrafast operation unlocks the phone in just 0.3 seconds and can also be used for authentication by other apps. It registers up to five separate fingerprints, and accurately detects fingerprints regardless of the orientation of the finger on the sensor. The ASUS ZenFone 4 Max 5.5” (ZC554KL-S430-3G32G-BK) is immediately available in the U.S. at a MSRP of $199 from the ASUS Store, Amazon, Best Buy, B&H, Newegg, Abt, and other leading retailers. In Canada, the ASUS ZenFone 4 Max 5.5” is available today for the MSRP of CAD $299.